Total Movie Converter gets the whole job done in seconds. This is but the handiest and most powerful AVI converter available for sale. Its robust and intuitive user interface and handy wizard make the conversion process a breeze. With Total Movie Converter, you can convert avi video in batch. Versatility. 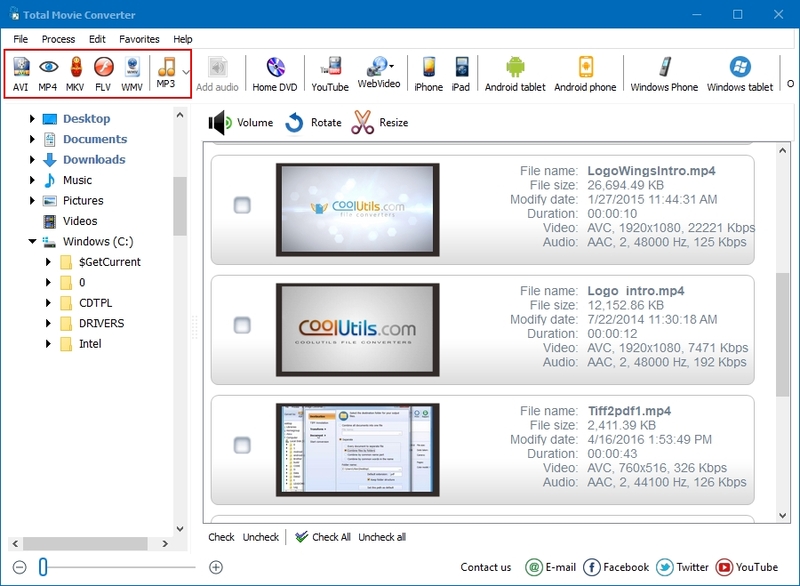 The converter supports all popular formats. No matter, which of the supported target formats you choose, the procedure is absolutely standard. Launch the interface and select the folder with AVI files in the folder tree. The content of the folder will be displayed on the right. Check-mark the files you are going to convert. Select any of the aforementioned target formats in the format bar or Convert to menu, or select the device, which you are planning to use to play your vids. The wizard will guide you through the rest of the procedure. Select your preferred destination folder, video codec, video quality, etc. 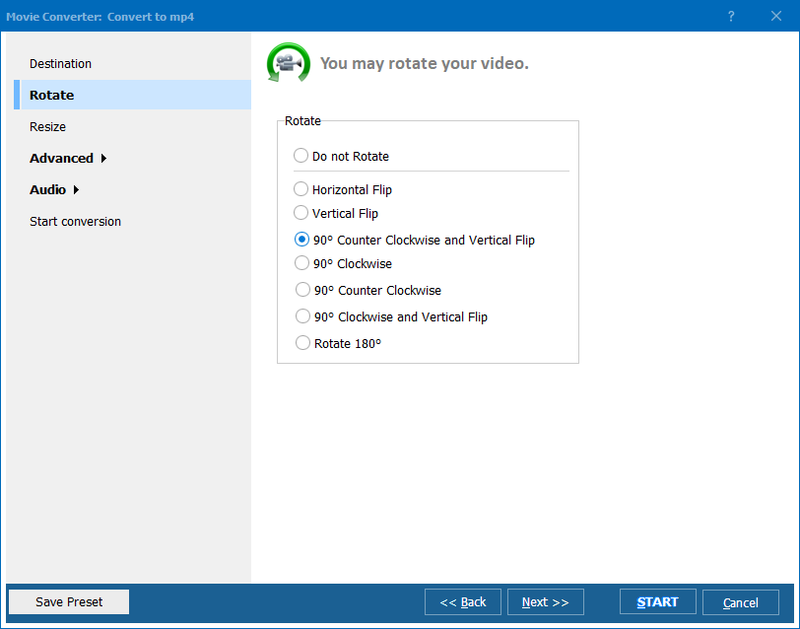 Use the built-in video player to check video quality. When you have specified all parameters, click Start to launch conversion. Total Movie Converter integrates into the right-button popup menu, so you can convert video files right from the desktop. Right-click on an AVI file and select Convert to. You can convert AVI via command line from within any other utility. Total Movie Converter is shareware. You can download the free trial version and use it for 30 days. Registered users will receive free tech support and upgrades on a regular basis.